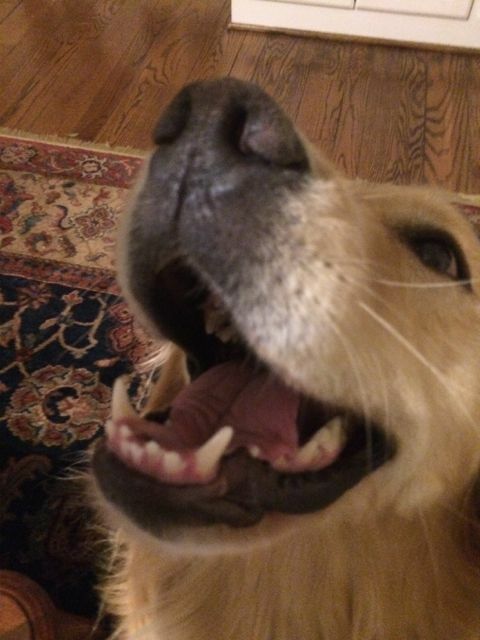 This post about taking care of your dog’s health is sponsored by HardyPet Nutrition but all the opinions expressed are 100% our own. When we picked up our Chloe from our breeder, she gave us a list of instructions from some training tips to dog food supplements. Even if you feed your dog the best food, there is still some nutrition lost in the way the food is processed. We went ahead and purchased the vitamins our breeder recommended and did not think twice about buying her vitamins in the people section. It was until I heard about HardyPet Nutrition. 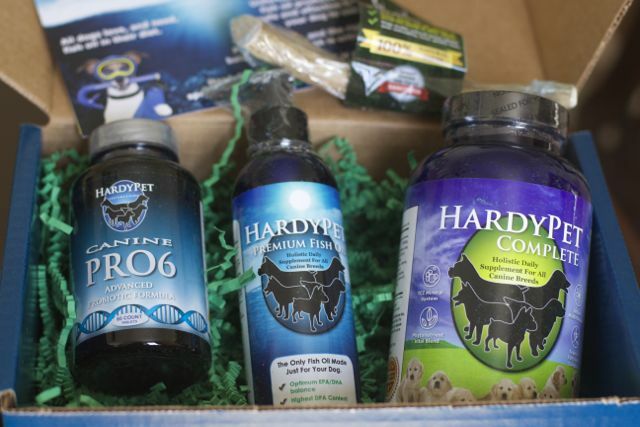 HardyPet’s mission to improve canine health. HardyPet Complete ‐ Made with over 40 pharmaceutical grade ingredients. This is a daily chewable multi‐vitamin most dog’s think is a treat, it helps with issues related to skin/coat, digestion, heart health, immune function, and joint health. There is not a more complete canine supplement available. HardyPet Canine PRO6 ‐ This is a great way to maintain your dogs belly health. This supplement provides a canine specific probiotic is an important key to every dog’s health. 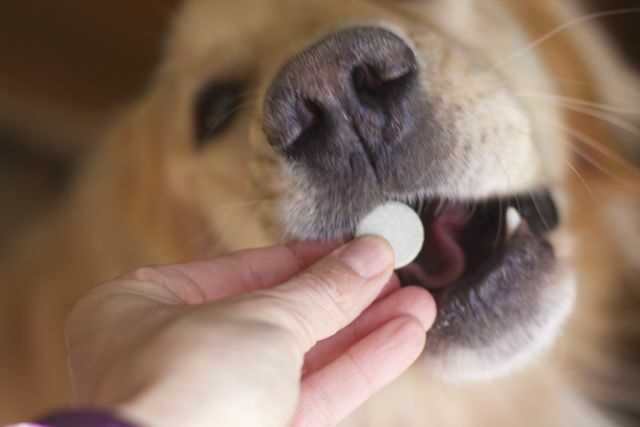 This is very important for when you give your dog an antibiotic to soothe their bellies. HardyPet Premium Fish Oil ‐ You might take a fish oil pill, did you know there are similiar benefits for your canine’s health? But don’t just pick up any Fish Oil pill at the pharmacy, HardyPet Premium Fish oils uses a fish oil with the right EPA/DHA balance for dogs and always giving the proper dosage. 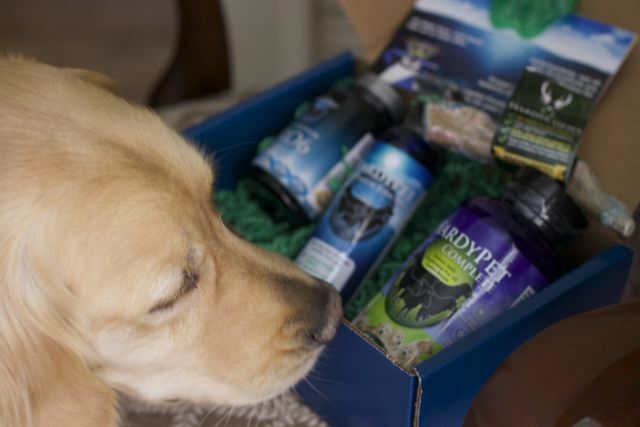 There is a limit to the amount of Omega‐3’s a dog can have in a day and HardyPet Fish Oil is packaged with a pump that delivers a precise amount each time. Chloe did not seem to mind they extra flavor to her food dish. 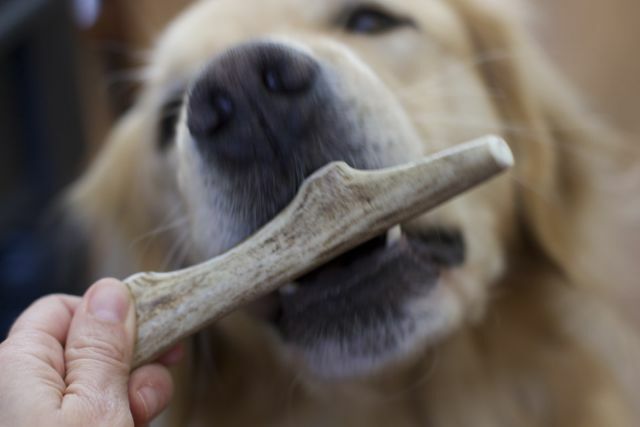 HardyChews ‐Chloe loves to chew on hard bones which is great for dental health. HardyChews are made from natural deer antlers which are naturally shed each year in the wild. Because of the natural toughness of antlers, HardyChews will not splinter and last longer than any synthetic toy. HardyPet Bag Clip ‐ Keep your dog treats and food closed to avoid spoilage. So why does HardyPet Rescue have such a concern for Shelters? The HardyPet Complete vitamins were originally created to help rehabilitate rescue dogs quickly so they could find new adoptive homes. Today, shelter organizations report that over half of all owner surrenders for dogs are related to health issues which are perceived to be too difficult or expensive to treat. Of these, 80% can be rehabilitated through proper diet and nutrition. The reason the HardyPet Blue Box was created is to help dogs stay healthy in their homes and help lower the rate of owner surrenders across the country. The Blue Box initiative, along with HardyPet’s ongoing rescue shelter outreach, is their way of continuing the original company mission of reducing shelter populations across the country. This is a win win situation for dog owners, by providing them proper canine health while they are healthy this will help eliminate more health problems as they age. Who better to trust than a company dedicated to improving canine health by not only creating the proper supplements but giving back to dog shelters. Be sure to watch this super quick video Chloe and I made of her enjoying her HardyPet Blue Box and getting healthier each day. How are you taking care of your dog’s health? Do you give your dog supplements? If not why? My dogs are getting older so that I know it’s time to really look into these vitamins and everything. I want them to feel happy and healthy! I have to check to see if these would be good for my pup. She doesn’t take any vitamins right now. I had no idea they made multi vitamins for pets! I am amazed that you were able to get your dog to take those great pictures. It is very important to take care of their health. Kudos to you for doing so…. We no longer have a dog but plan on getting another when we move to our new home. This sounds like a great product. These are great products for dogs. We love buying antlers for our dogs. They love them and they last so long! Such a cute pup! I don’t get give my dog supplements. In fact, I had no idea there was even a line of supplements out there to give him. I’ll be asking our vet now that I know, though! Okay I have to say that pooch has one adorable face! We have have a beagle named Snickerz. I will check with our vet about these supplements. What a great way to keep your pets healthy. I would definitely keep some of these for my pets. Wow. I will have to remember this when I get a new furbaby. Almost ready. We haven’t tried supplements yet. These sound great though! Thanks for sharing facts about these products. Aw what a beautiful dog. she is a lucky gal to get to try healthy products. Chloe is a lucky dog to get to try a Hardy Box! I love the deer antlers, such a neat way to use a natural resource without harming another animal to do it! I’ve not heard of this brand, but maybe because I have cats and no dogs. I do give one of my cats a glucosamine supplement for her joints. I am a cat person and thinking about giving my cats meds makes me cringe. They always fight me! I will check out alternatives for my cat. Our vet has never recommended them, but I am going to ask about them when Milo goes for his checkup in June!